If you don't already have a cherry pitter, get one for this recipe. 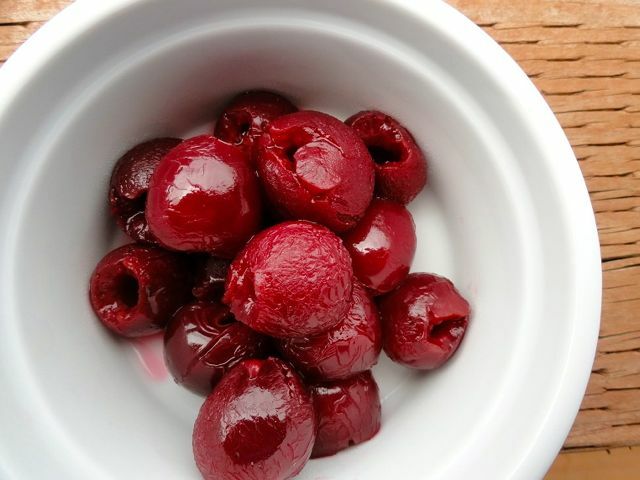 Pickled cherries are a wonderful complement to grilled pork or roast duck. They're also great served atop a hefty dollop of mascarpone cheese with a sprinkling of almonds. Pit the cherries and place in a non-aluminum pot. Mix together the vinegar and sugar, then pour over the cherries. Add enough water to barely cover. Place the pan over medium-high heat and bring to a boil. After it boils, remove from the heat and let sit for 15 minutes. Discard excess pickling liquid, and store in a glass jar.